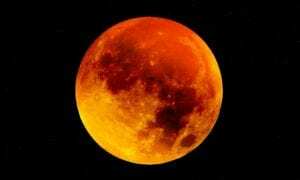 THE longest lunar eclipse in the 21st century will be visible in Spain tonight. The phenomenon will be a total lunar eclipse, in which the Earth will pass between the sun and the moon, leaving a shadow on the moon. The hue of the blood moon will also provide important information for scientists about pollution and the state of the Earth’s ozone layer. The eclipse will be visible in Europe, Africa, the Middle East, Australia, central Asia, and most of South America. The next total lunar eclipse visible in Spain will be on January 21, 2019. This year’s total eclipse is estimated to begin over Malaga at around 9:30 pm, lasting about an hour and 43 minutes.